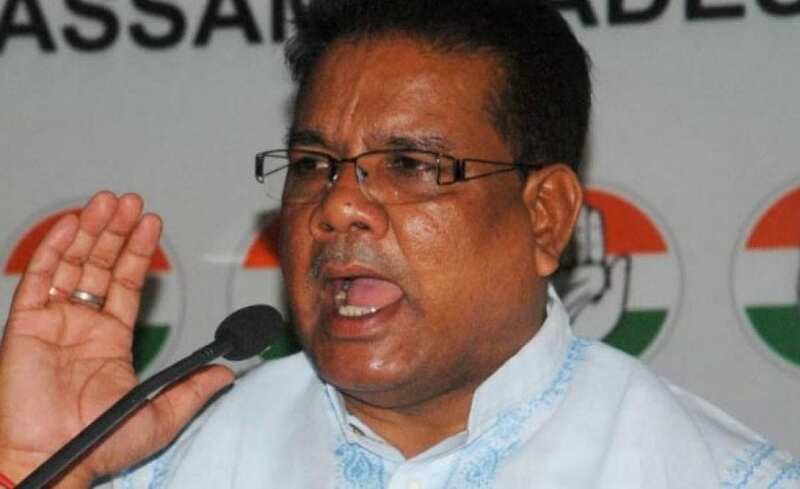 The Assam Pradesh Congress Committee (APCC) on Thurday re-released the party manifesto in Guwahati on Thursday with an additional booklet focusing on Assam for the ensuing Lok Sabha election. The manifesto was re-released at the Rajiv Bhawan in Guwahati by the party’s national leader and finance minister of Punjab, Manpreet Singh Badal. APCC president Ripun Bora released the booklet featuring key issues aimed primarily to Assam at the same function. The booklet titled ‘Amaar lakhya amaar pan’ (Our aim our pledge) is being brought out by the APCC focusing especially on Assam and the Northeast that highlights programmes and agenda to be implemented in Assam and the Northeast if the Congress is voted to power. While speaking about the booklet, APCC president Ripun Boa said that the Congress will ensure an error-free National Register of Citizens (NRC) if voted to power. He also said that no genuine Indian citizen will be left out in the NRC if the Congress assumes power after the ensuing Lok Sabha elections. Bora also said that the party will also ensure that no genuine Indian citizen is harassed in the name of D-voter. The APCC president also said the powers of the North Eastern Council (NEC) that have been curtailed by the Bharatiya Janata Party (BJP) will be restored again if the Congress forms the government at the Centre. He also said that the DoNER Ministry will be further fortified if the Congress assumes power. Bora further alleged that the BJP government has not given its nod to raise of wages of the tea garden workers to Rs 350 that was endorsed by the Wage Board on the objection raised by the tea garden owners. He further said that if the Congress government assumes charge in New Delhi, the revised wage for the tea garden labourers will be immediately implemented. He also said that the Scheduled Tribes and Other Traditional Forest Dwellers (Recognition of Forest Rights) Act, 2006 will be also be implemented apart from strengthening the autonomous councils. The Congress further assured special national package to the tea industry apart from promises to rejuvenate the Cachar and Nagaon paper mills. The APCC president also said that the Congress if voted to power will also ensure safeguarding the interests of the indigenous communities of Assam. Bora further said that Guwahati will be turned into a Technical Education Hub.